The Lisu live in China, Myanmar / Burma, Thailand and India. They are one of China's official minorities. The name Lisu means "come-down people." 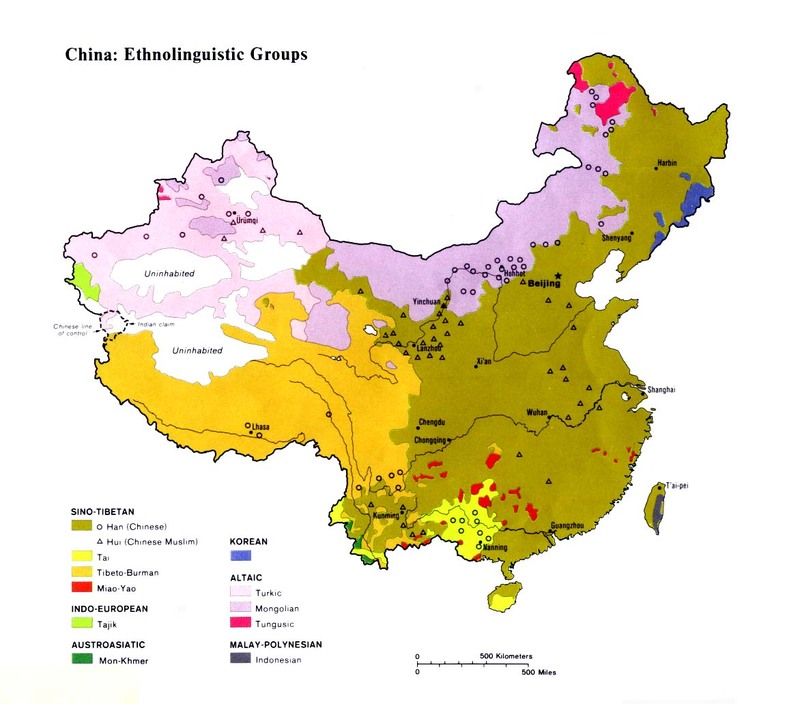 Their original home was in eastern Tibet, where they had a kingdom in the tenth century before they migrated to their present homes in Southeast Asia. The Lisu have a long history of being oppressed by greedy landlords and governments. The Lisu revolt of 1801-03 proved devastating. The Qing government mobilized a huge army of more than 10,000 soldiers from three provinces. Chinese writers criticized this campaign as "using a cattle knife to kill chickens." During the 1940s the Lisu had to pay 65 different types of taxes and levies - including one for each airplane flying over their region! This provocation resulted in thousands of Lisu seeking life in a new country. Missionary Lilian Hamer described one scene as the Lisu she had sought to reach left en masse: "I saw little children clinging to their mother's skirts, older folk carrying iron cooking pots, blankets, oil lamps. I stood outside my door and watched this wholesale evacuation of the people I had served and loved, mourned and wept over." Before they embraced Christianity, the Lisu were described as "utter savages." They were so given over to alcohol that when one newly converted village threw out all their liquor, all the pigs in the village got drunk! A passion for gambling often degraded the Lisu into an abyss of suffering. "When they have gambled away their money, they will often stake their children, their wives, and even themselves as slaves. As a result, in one night a whole family can be gambled away into life-long slavery." The conversion of the Lisu is one of the greatest stories in mission history. Their mass turning to Christ was due in part to their ancient belief in Wa Sa, a supreme god of Healing and a village guardian. During one interrogation by the Communists, a young Lisu man exclaimed, "Christianity has already penetrated into our flesh and blood and it will not be easy to tear it away from us." A number of missionaries labored self-sacrificially among the Lisu prior to 1949, including James Fraser, A. B. Cooke, John and Isobel Kuhn, and the Morse family. In 1916 and 1917 alone, Fraser baptized 60,000 Lisu. 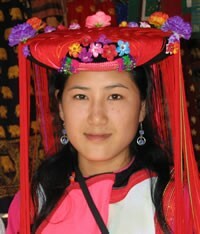 Today there are an estimated 300,000 Lisu believers in China. The Lisu church has reached out to many other groups in the area, including the Deqen Tibetans. View Lisu Yobin in all countries. Location in Country: More than 700,000 Lisu live among the massive mountains and deep valleys of the Nujiang, Salween, and Yangtze river basins in southwest China. 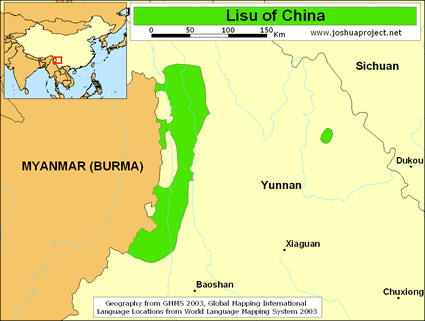 The majority of Lisu live in Yunnan Province. An additional 15,000 live in Sichuan, and a small number can also be found in southern Tibet. Thousands of Lisu migrated from their original homeland during the last century. Many now live in faraway Myanmar, Thailand, and northeast India.